A lively modern resort, offering a fabulous range of skiing and an enviable ski record. 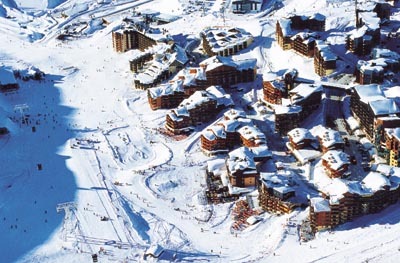 Val Thorens is the highest resort in the alps, at 2300m. Set at the head if the Belleville Valley, the village lies in a huge ski bowl with runs fanning in all directions offering intermediate and advanced runs. There is instant access to the pistes from your doorstep. A purpose built resort provides a good mixture of restaurants and bars with a pleasant village like atmosphere. more than 45 restaurants. * 3 course set menu with wine approx €23 * local fondues with wine €23 * Pizzas €9 * try Auberge des Balcons for french dishes, the Scapin Pub for pizza and pasta, Chalet des Glaciers for gourmet cuisine.